Denise Bledsoe 2014 Calendars are here! Thank you Francine. Your dolls have a very unique, appealing style. Great expressions! Oh, she is very very cute !I wish I have her in my collection.Is she available? Kindest regards and Happy New Year! Darcy has already been purchased but thank you so much for asking about her. 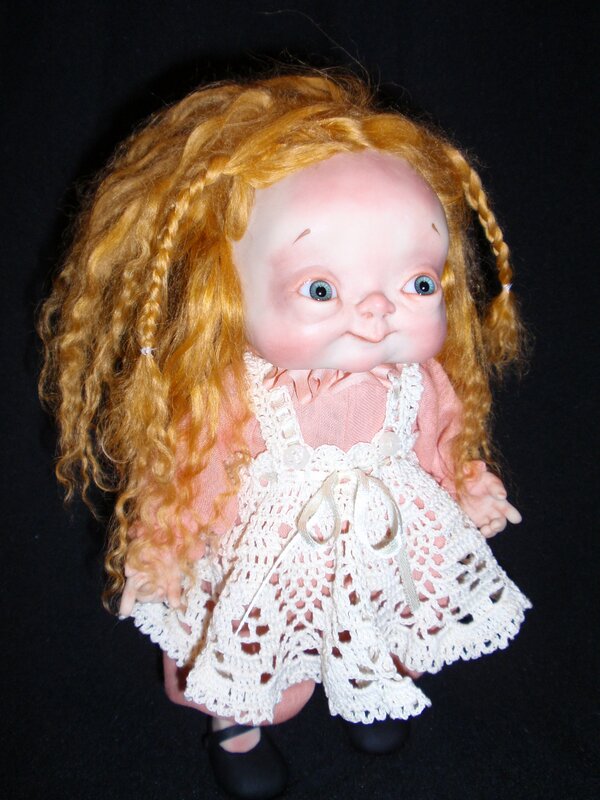 I have other little girl dolls available right now if you are interested. Darcy is just adorable! I sent you an email over the holidays inquiring whether any of the little ones in your April calendar were available for sale. I don’t know if you got my email or not. Please let me know as I just loved the one in the hat. I did receive your inquiry about the little April girls by a comment on the calendar post and also made a reply there. Those little ones might still be available through Diane’s Doll Shoppe in CT. http://dianesdollshoppe.com/ She’s lovely to work with so just give her a call or email. Best wishes for a beautiful new year too!